You must have heard us say this hundred times, but let us say this again. Jewellery is a great gift you can choose for a loved one. There are many reasons why you cannot go wrong with jewellery. It makes a person feel special, creates a great impression, and is also a wise investment. Jewellery is also a personal gift and hence it scores high on that front too. And the chances of a person already owning the same trinket or design are very thin. Well, didn’t we say jewellery makes the best gift! That having said, have you ever felt clueless while choosing a piece of jewellery for a loved one? You want to buy a bangle or a ring for a special someone, but you don’t know their finger size or wrist size. You think of buying a beautiful necklace, but you are unsure whether to choose a traditional one or a modern design. Sounds familiar? You don’t have to feel this way anymore because we, at BlueStone, bring to you a collection of Zodiac pendants. What Makes Zodiac Pendants the Best Gifting Option? A Zodiac pendant scores high on two fronts. Firstly, it is a pendant which means you don’t have to worry about the size. It can be worn with a short chain or a long chain based on the wearer’s preferences. Secondly, it features the sun sign of the wearer. A person’s jewellery preferences may change; they make like floral designs today and geometric designs tomorrow. But their Zodiac sign remains the same, and hence it is the safest and the best bet you can make when choosing jewellery for someone other than you. This doesn’t mean that you cannot buy these pendants for yourself. Our collection of sun sign pendants is chic, classy, and extremely beautiful. You wouldn’t regret buying one for yourself! The Zodiac signs are the most fun and exciting part of astrology. Even people who don’t believe in astrology often find themselves nodding their head and smiling when qualities of their Zodiac sign are being talked about. There are 12 signs based on the sun’s path across the sky. The Zodiac signs are said to have originated in ancient Babylonia in 1BC. They begin with Aries and end with Pisces. The time zone for each sign starts on the 21st of a month and continues till the 20th of the next month. However, people born between the 19th and the 22nd of each month are said to be a cusp of two sun signs; the sign of the month before their birth date and the sign after their birthdate. Thus, if you have a friend born on 21st of January, you could buy Zodiac pendant designs of Capricorn or Aquarius. 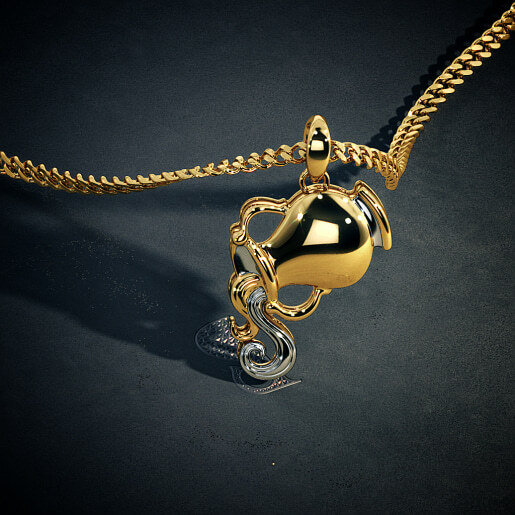 Take a look at the Capricorn Pendant and the Water Bearer Pendant in our collection. The former is a white gold pendant studded with diamonds while the latter is a gold piece with a rhodium plated segment. Who Can You Buy Zodiac Pendants Online For? The best part about these pendants is that it can be gifted to anyone irrespective of their age. You don’t have to make a choice based on the gender of the wearer either, because all these pendants have a unisex appeal. If you have a niece or nephew born under the Virgo sign, the Seed Furrow Pendant is an ideal gift. 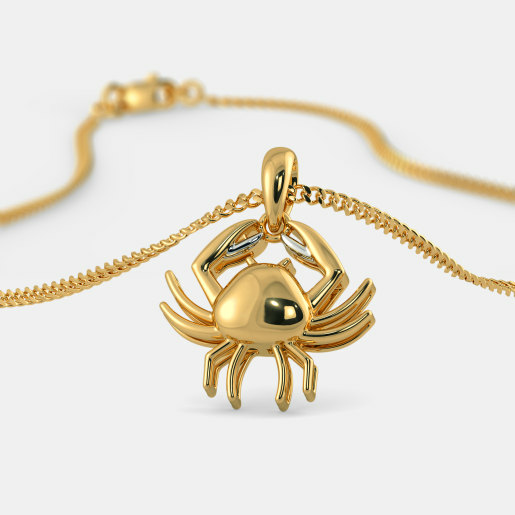 For your aunt who was born under the Scorpio sun sign, you could choose the Scorpius Pendant. Many people believe that a large part of their life story is determined by the Zodiac sign they are born under. For example, a Piscean may feel constantly pulled in different directions. 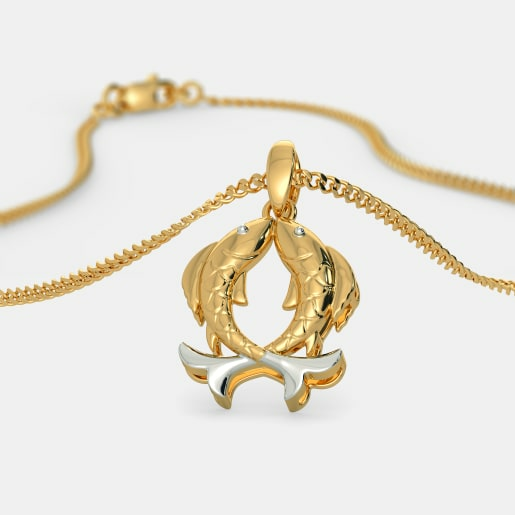 For them, the Fishes Pendant is the best Zodiac pendant and will be a well-appreciated gift. When Can You Wear a Zodiac Pendant? You do not need an occasion to wear a Zodiac pendant. These pendants can be worn on a chain day and night. They are the perfect accessory to your outfit for work. If you’re meeting a new person, it could also help start a conversation. Such pendants can even be worn on festive occasions. They look best when worn on a short chain. You pendant should ideally fall on your collar bone or just below it. Once you have chosen the pendant, you can also find a matching chain in our collection chains. At BlueStone, we offer trendy Zodiac pendants online for almost all sun signs. 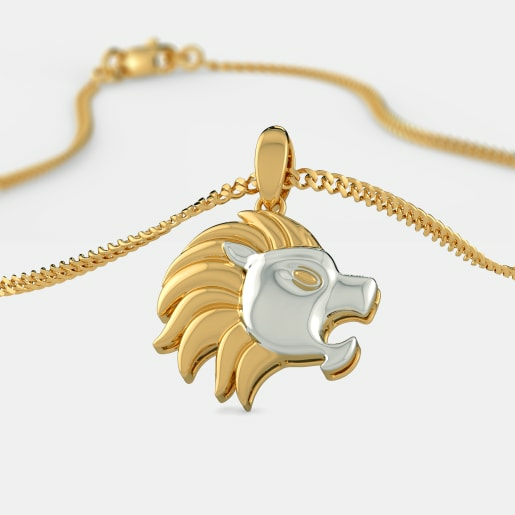 Designs that feature gold without any gemstones such as the Lion Pendant are made from 22kt gold. We also have mind-blowing pieces in white gold. Take, for instance, the Aries Pendant. 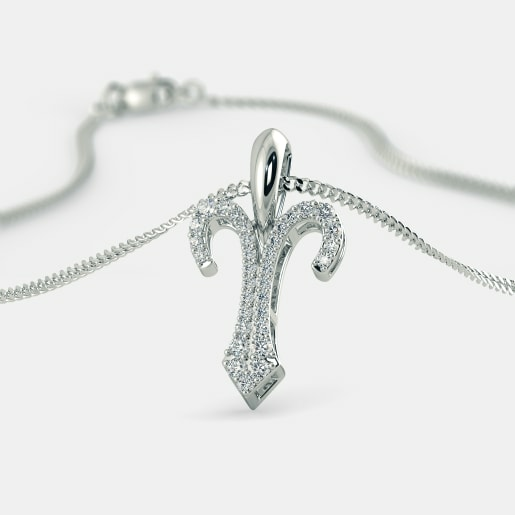 This 18kt white gold pendant is studded with 33 sparkling diamonds. 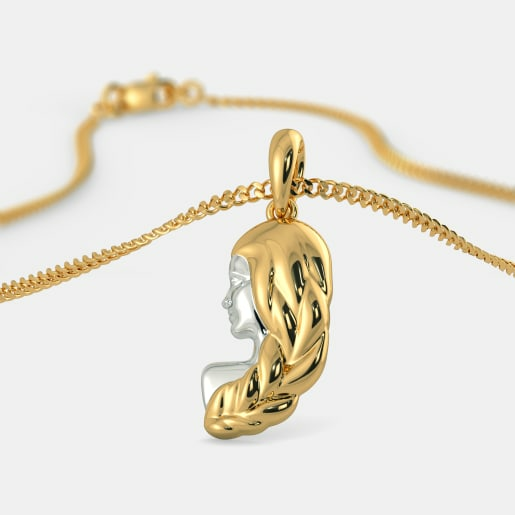 Do you really like this pendant but wish it was made of gold? Worry not! The good news is that the same piece can be made in gold without compromising on its quality or design. 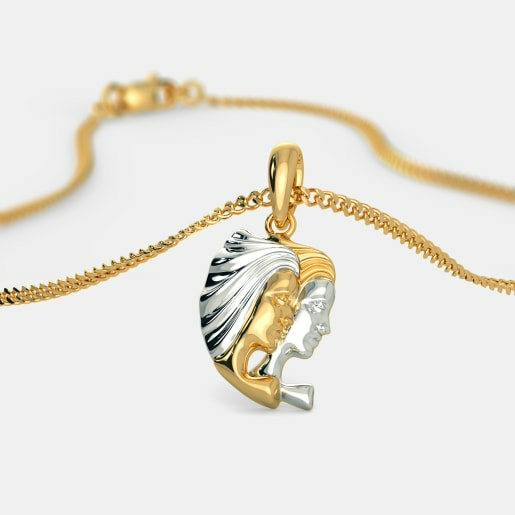 However, the gold designs such as the Twins Pendant cannot be made in white gold because these pendants feature rhodium plating to define the design. How to Buy Zodiac Pendants? At BlueStone, we offer a number of new designs in Zodiac pendants. 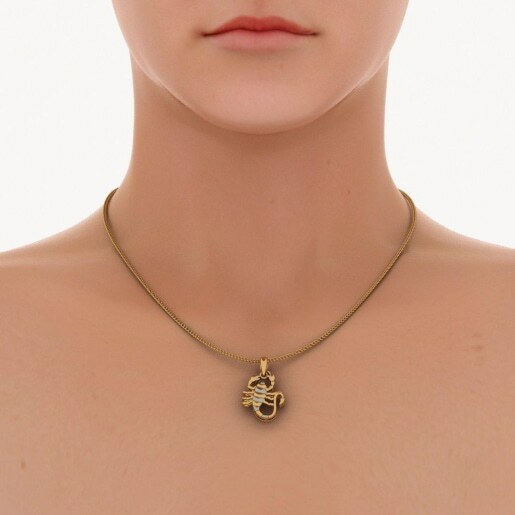 These pendants are created based on the pictorial representations associated with each sign. 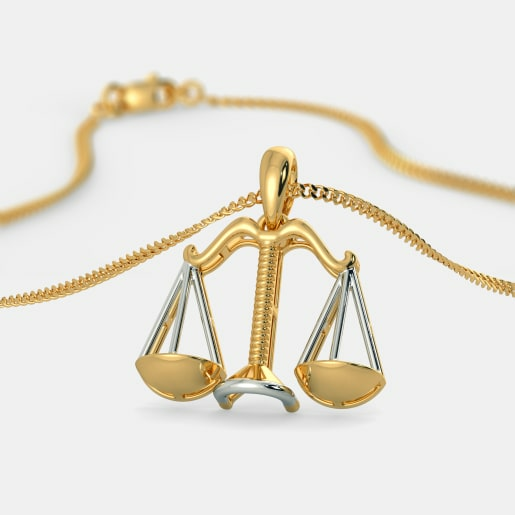 For example, the Scales Pendant is a direct representation of the scales that symbolise the Libra sign. You can also choose to customise a pendant based on caratage which helps reduce the Zodiac pendant price. 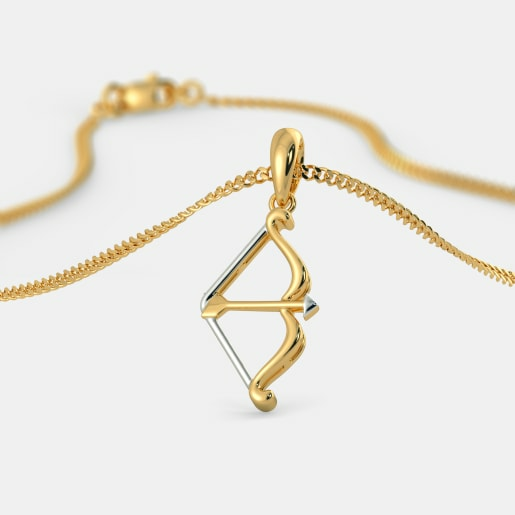 For example, you could lower the gold carat value of the Archer Pendant from 22kt to 18kt or 14kt gold. As the caratage is reduced, the price of the pendant also falls significantly. You can also customise the colour and clarity of the diamonds when you buy zodiac pendants from us. Whether you are buying a pendant for yourself or for a loved one, this is the place to be!